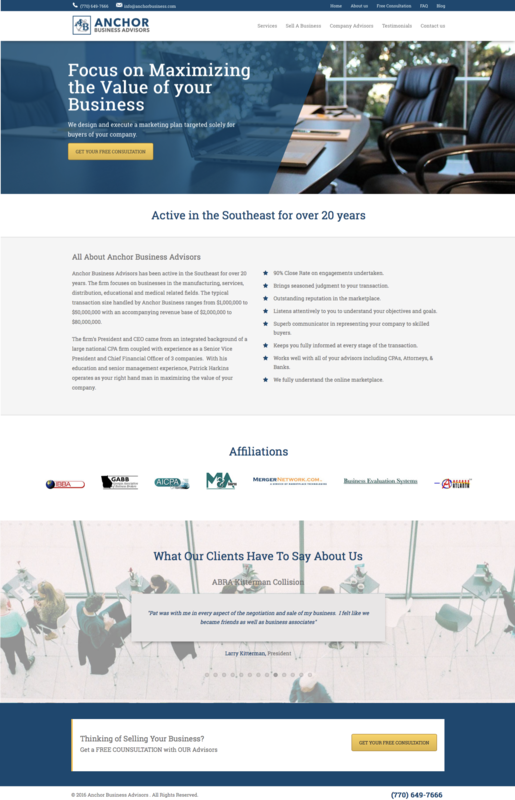 We built this formal, business site for a local business consultant. The site features sticky top menu, an FAQ page with accordion style expanding sections, and a stylish testimonials page. We also added rotating review widgets on select pages. The homepage slider has text overlay with independent calls to action. Thanks for your firm's creative approach in redesigning our website and returning it to the 21st century. We are approached almost daily from a host of web designers soliciting our business. After our first meeting, I was confident that you would create a website that not only be updated but creative and innovative as well. You succeeded in doing this in record time while adhering to the budget we set up in our first meeting. Congratulations to you and your team for a job well done. There is no doubt in my mind that we will be using you in the future. Thanks once again for your efforts.